In Kitchen Scramble, everyone can cook all kinds of dishes, from breakfast to dessert! Achieve your dream of opening a gourmet truck and traveling the world! Meet unique customers, serve them and surprise them with your mouth-watering recipes, win coins and tips. Combine fast service with elephant memory to break records! The saga of success continues with new delicious recipes to lead you to glory! + Enjoy hours of play with over 1500 levels in more than 60 unique locations, and look for new levels added regularly! 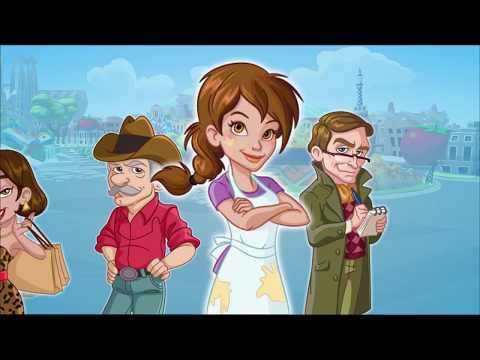 + Unlock new and lavish cities like San Francisvain, Potimashington, Foodji Mountain, Honoluau, Rio de Queijo and more! Ask your friends for help to unlock new places immediately! + Add your personal touch to the local cuisine and delight demanding and unique customers!